Trial courts often grant summary judgment motions, and those court orders are often appealed. Yet in reading the appellant’s briefs in such appeals while I worked as a law clerk and then staff attorney at the Alabama Supreme Court, and in my practice assisting other lawyers withe their appellate briefs, I’ve noted that many times the briefs have the wrong focus. So what’s the wrong focus? The wrong focus is trying to convince the appellate court that summary judgment shouldn’t have been granted because the plaintiff has the evidence to win the case if it went to trial. Too many lawyers focus their briefs on proving their case, instead of demonstrating error on the part of the trial court judge. It’s hard enough to win an appeal as the appellant, and the odds of success are very long if the appeal brief doesn’t serve to make the most out of the opportunity to convince the appellate court the lower court committed reversible error. 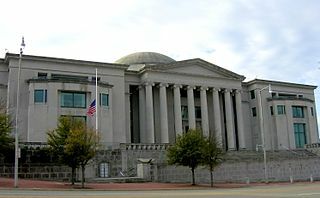 In other words, you’re more likely to succeed in having the grant of summary judgment reversed if you can show the appellate court that the trial judge did more than just get the result wrong; you need to show that the judge erred in performing his or her role in the judicial process on summary judgment. The role of the trial court judge on a motion for summary judgment is well-established. The judge must view the facts and all reasonable inferences that may be drawn from them in a light most favorable to the non-movant and may only grant summary judgment if the judge finds that there is no dispute as to any material facts and the movant is entitled to a judgment as a matter of law. The key to reversing a summary judgment order is to show that the judge erred in performing that task. So how do you do that? The key is to focus on the minute details of the trial judge’s summary judgment order or opinion. While the order may state the correct standard of review, an appellant should try to demonstrate that the standard was not applied at all, but merely given lip service. In other words, you need to try and show that the trial court’s summary judgment order was more an order on a bench trial, where the judge became a trier of fact and rendered his or her own judgment on the facts. You must show the court failed to view the facts in the proper light and failed to take the reasonable inferences favoring the plaintiff. You can do this by demonstrating the trial judge’s order fails to discuss the facts favoring the plaintiff’s case, or makes inferences favoring the defendant’s position. Perhaps you can show that the judge made a judgment regarding witness credibility when the judge is required to take the plaintiff’s sworn statements as true. Simply put, you must become intimately familiar with the summary judgment standard and how judges often get it wrong. You can do this by reviewing appellate opinions discussing such judicial error, then attempting to demonstrate the same error occurred in the case you are to appeal. Why not give this approach a try on your next summary judgment appeal instead of just making the same argument you made to the trial court that the plaintiff met the elements of each claim. « The Risks of a “Hinge Point” Appellate Argument.